Kenneth E. Satten has over 35 years of highly varied and extensive experience representing broadcast station groups, private equity funds, trade associations and networks. He oversees the firm's media practice and primarily concentrates on mass media, telecommunications, and administrative law, as well as corporate and commercial transactions. Mr. Satten works on a daily basis with the firm’s attorneys and clients on legal, technical, policy and regulatory issues impacting the broadcast industry. He provides a wide range of services in connection with regulatory compliance, enforcement actions, adjudicatory proceedings, and industry-wide rulemakings to large broadcast groups, as well as individual stations. Mr. Satten also has extensive experience assisting clients with transactional and corporate matters, including complex mergers and acquisitions. Mr. Satten has been a frequent speaker at industry and client seminars and conferences. 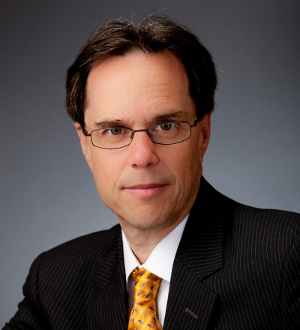 He is the author of "Pretrial Suppression Hearings Presumptively Closed to Public when Adverse Publicity Threatens Impaneling of Impartial Jury in County of Venue," for the George Washington Law Review. In recognition of Mr. Satten’s dedicated service as principal FCC counsel to Bonneville International (a major broadcast group), he was the first outsider to be honored as one of “Bonneville’s Best” in 2006.